Figure 1. Multiple-Pin Connector Identification. Figure 4. Sealed Connector Repair. 2. 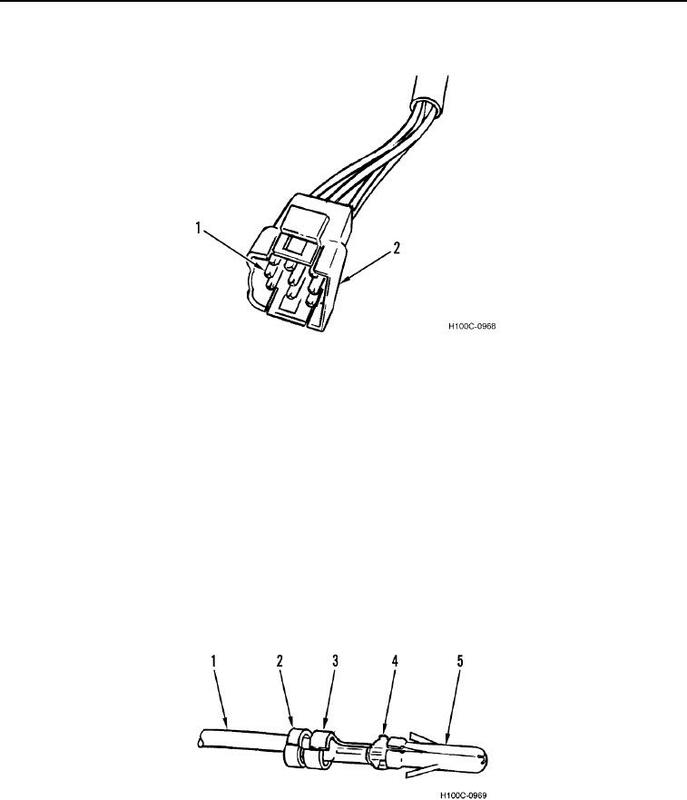 Remove wire (Figure 3, Item 1), with pin (Figure 3, Item 5) attached, from rear of connector. 3. If defective, remove pin (Figure 3, Item 5) from wire (Figure 3, Item 1) by cutting through wire just behind pin. 3, Item 4) of wire (Figure 3, Item 1). The other two tabs of pin may need to be crimped slightly in order to enter connector. 7. Push pin (Figure 2, Item 1) into rear of connector (Figure 2, Item 2) until fully seated.